Now I am not going to put my iconic ‘ccu-undercover’ sticker on this because I haven’t actually visited Som Tam Thai Restaurant. Like all good bucket lists, the reason this restaurant was on mine was because I casually stalked all Melbourne restaurants on Urbanspoon and went through their menus online. Restaurants, take note, a good menu will always get you on my bucket list! The first thing I noticed when I visited the website’s menu that they have an extensive range, which they display proudly with lots of categories. From the entrees to noodles to rice to everything between, Som Tam seems to offer a range of Thai dishes. I have been to some Thai restaurants (that I didn’t even review because of the reason to follow!) in Sydney that just about, offer Pad Thai with different topics and spring rolls. People, restaurant people, Thai cuisine is much more diverse than that! In the starters alone, Som Tam offers the traditional Thai dishes such as cream sweet and sour soups with core Thai ingredients such as kaffir lime leaves and galangal fragrance. So the focus of their menu is evidently not on adding a contemporary touch to their dishes. They also have some fun names to really get your head into the menu such as the “Son in Law”. This is a silky egg yolk with crispy skin, caramelised onion, fried chilli and herb relish. I don’t know any son-in-laws who are sound so delicious but hey, I would order it! Sifting through the different curries, the various stir fry dishes, I am noticing a trend. Som Tam has no qualms in their menu to add the traditional names to their dishes. Being in a Westernised society, you would be surprised at how a lot of restaurants tend to anglicise their names, to make it easier to understand for their customers! I think keeping the traditional name (provided it comes with the clear, concise description that Som Tam shows on their menu) adds an authentic touch if I may be honest! Being a vegetarian, I also SUPER appreciate the fact that there is a generous range of vegetarian dishes on offer, as well as the offer to actually vegetarianise certain dishes on the menu as well. Always a plus that is not available at enough restaurants! But until I get to cross them off my bucket list, I will have to keep making this recipe. Yes, a recipe actually from the kitchens of Som Tam. You are SO welcome! This one is actually for their Red Curry Roast Duck! You could potentially be making restaurant standard food tonight and guys, coming from a cooking rookie like myself, it is actually the simplest dish to whip up! 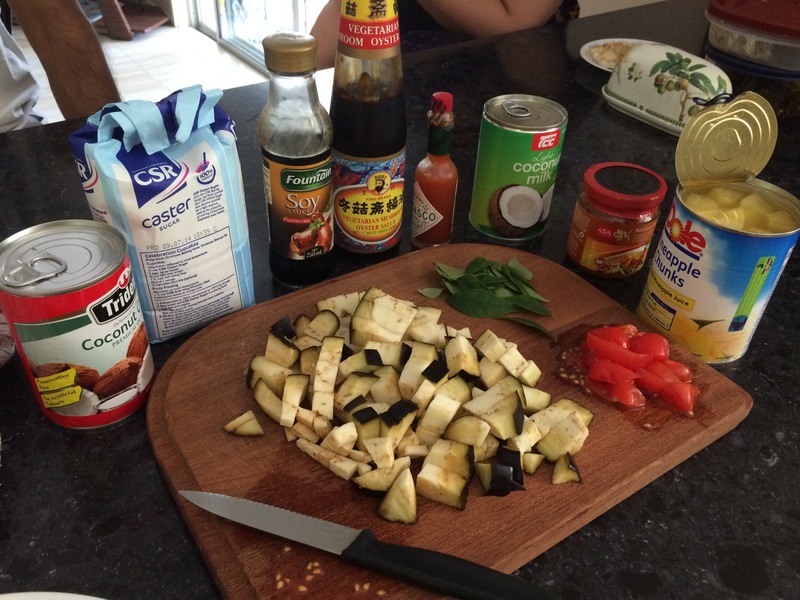 I also had to make a few changes because some ingredients were too exotic to find (like Thai Apple Eggplants!) 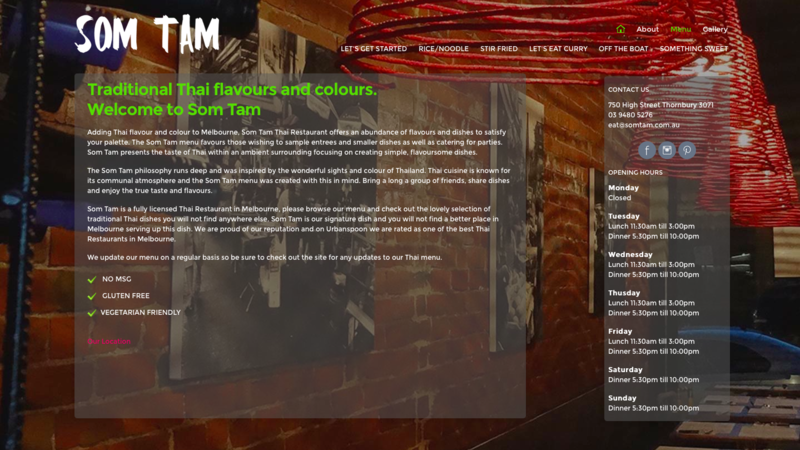 but there you go, I emphasise again – love the traditional basis of the dishes at Som Tam! The curry turned out to be nice and spicy since I really upped the amount of red curry paste added! It was rich and creamy, without being too filling, and the bursts of almost tropical flavour in it really tied the dish together! Plus, look at that gorgeous colour no? Printable Recipe – includes the original recipe as well. Put aside, and set a large wok/frypan on medium-high heat. Heat 1/4 cup of the coconut milk in it for 3-5 minutes or till the oil separates from the milk. Add the curry paste, and stir through till fragrant and roasted. 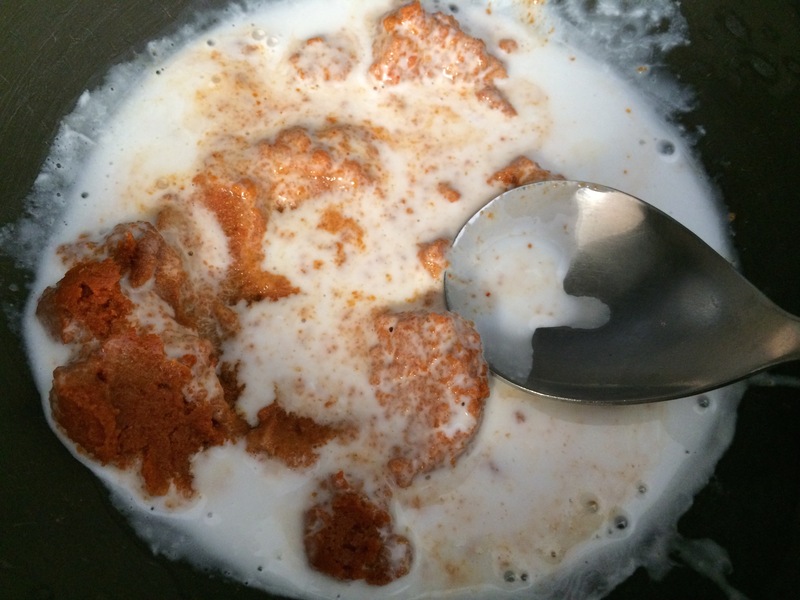 Add the remaining coconut milk and cream, bringing the mixture to boil. 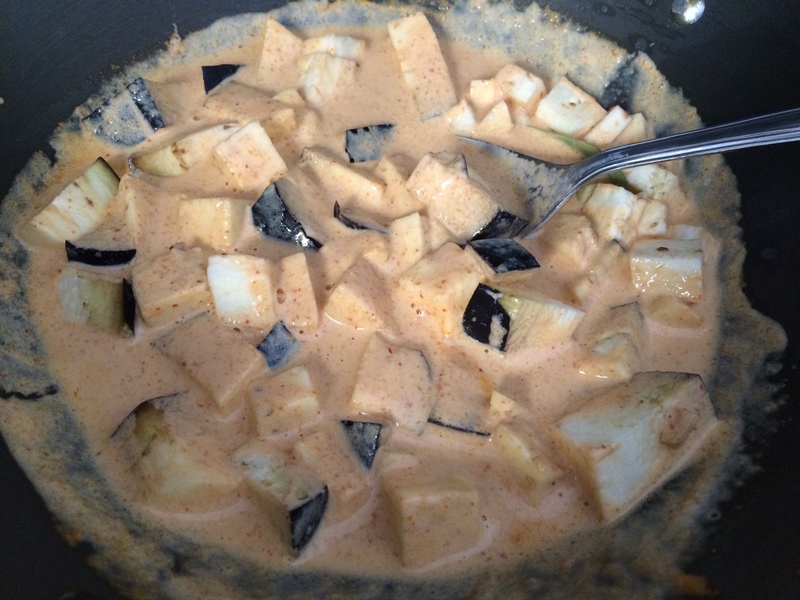 Add in the curry leaves and eggplant. Cook this mixture for 3-5 minutes (I kept the moisture in by covering the top of the wok) or till the eggplant has softened. Add the remaining ingredients (tofu, thai basil leaves, pineapple tomato, grapes, caster sugar, sauces, salt) and cook for 3-5 minutes longer. Disclaimer: Go Bake Yourself was sponsored for this post and wrote in collaboration with Som Tam Restaurant. However, all thoughts and opinions expressed are honest and her own. If I had a bucket list, I would have this recipe on it as well (and no, I’ve never made a bucket list, but that’s a LONG story!). You Som Tam looks delicious and wasn’t sure if I had had it before until I looked as the ingredients. I think I’ve had it once and loved it. Hope you get to eat at this recipe when you’re in Melbourne! 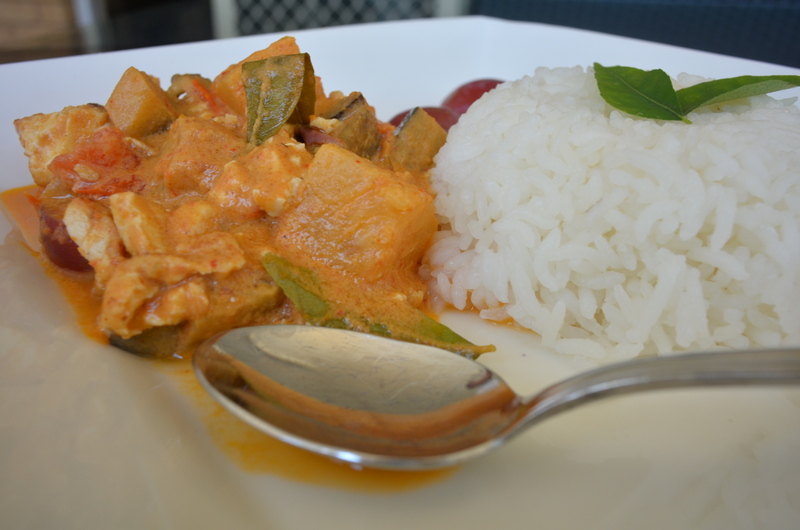 A delectable tasty curry dish that I also love,..yum yum yumm! everything here looks and sounds very delicious. I just love it! Love Thai food. Love kaffir lime leaves and galangal fragrance even more. 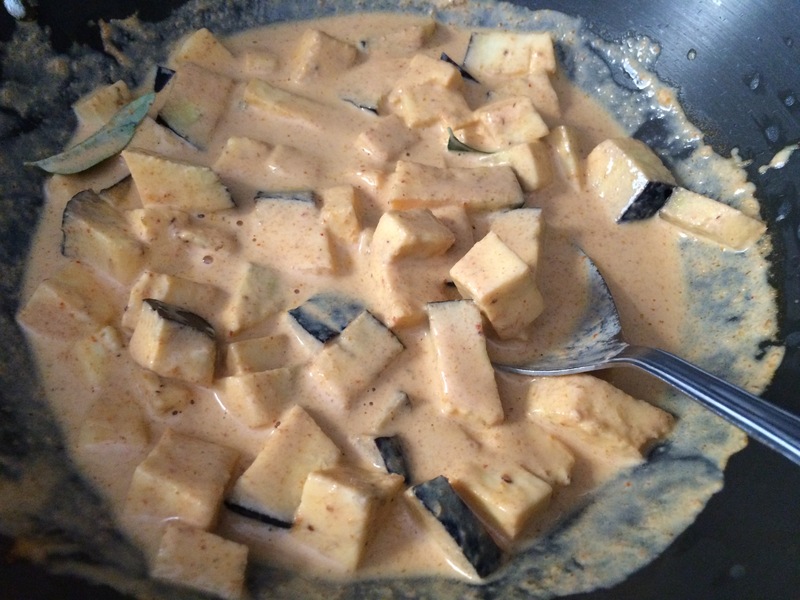 We love tofu and eggplant so will have give this recipe a try. May have to omit the pineapple as hubby is not a big fan of pineapple in savory dishes. Thanks for sharing Uru. 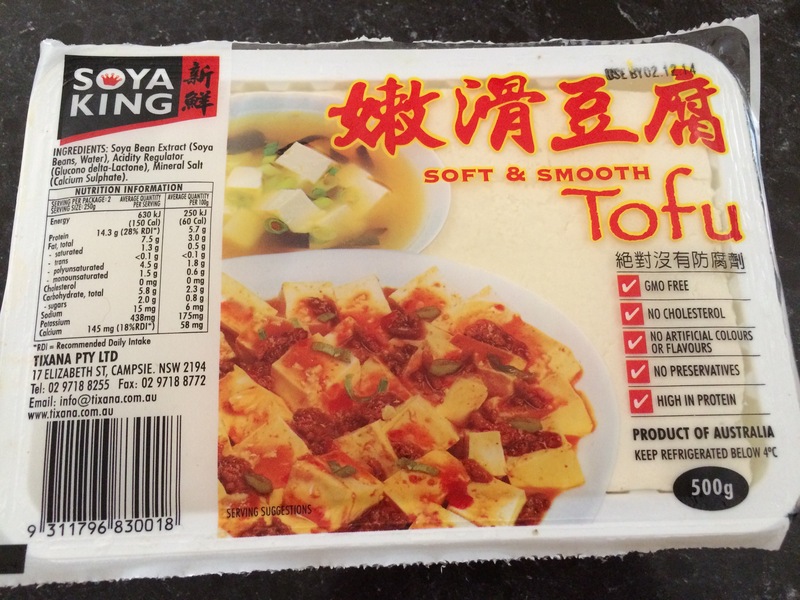 My son is a big tofu lover! He would love this! Such a fun place to dine! Oh God I love indian food, especially the creamy dishes, when the rice can soak all that creamy goodness. Maybe I’ll put up an Indian curry soon! No idea why I said indian curry, I guess I was thinking about one. Either way it looks delicious. Thai food is one of my favorites! I will have to try this recipe out. Looks so amazing! 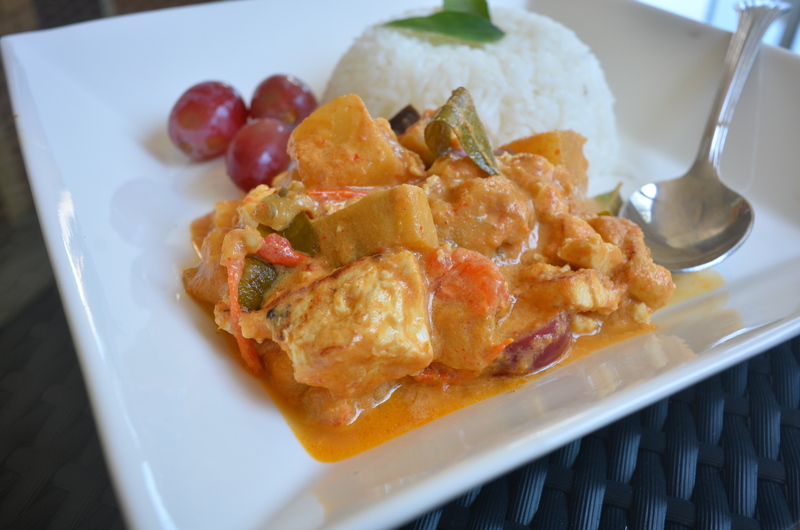 Delicious curry dish Uru…and yes, I love the idea of tofu…delicious with a bowl of rice…yum! Yummy! LOVE Thai food from moon to back! I hear ya’…I have quite a few bucket lists as well! Nothing wrong with shooting for the stars! The dish looks fantastic! 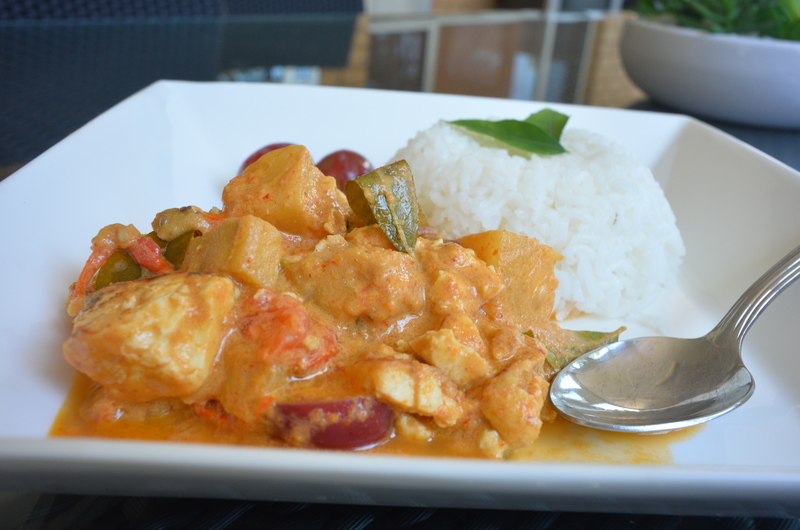 Love the coconut milk in this curry! Have a good rest of the week at university. 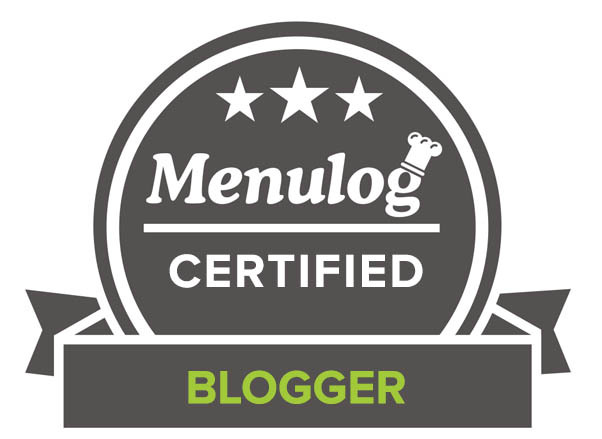 I don’t know how you manage to keep up your blogging. That’s quite a feat! I have a lot of things on my bucket list! Love this curry!! I totally agree, there are more to thai than pad thai and spring rolls!! I GiGi, may have eaten a lot of celebrities in my day, but I have NEVER had curry before! First time trying Thai basil actually, but it was awesome 😀 And I agree, Thai and Italian cuisines are the best! 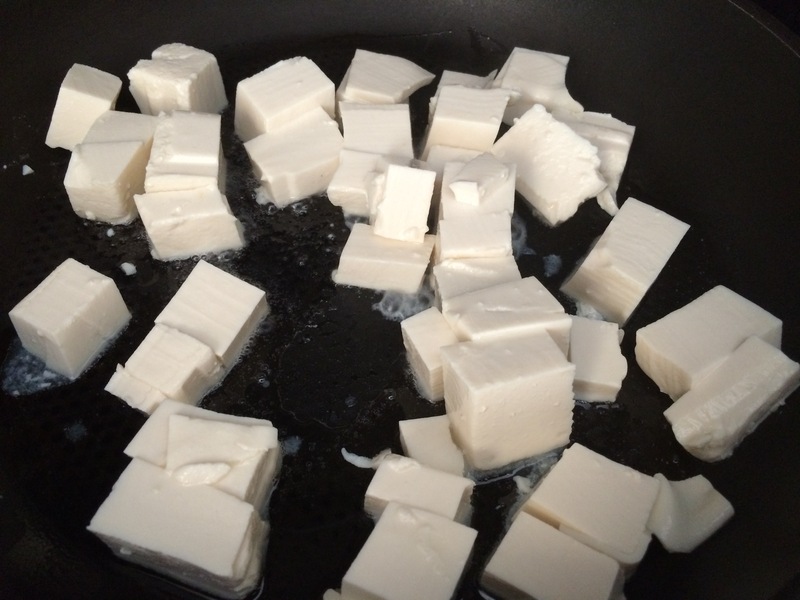 I’m not a huge tofu lover but wow. I don’t know what else to say but wow. This looks amazing. ooh! This is such a great post! I totally adore curry, so i’m adding this recipe to my to-do list! This is perfect! I’m going through an Asian thing lately. Such delicious warm flavors for the fall! That dish looks wonderful! Sure hope you get to cross this restaurant off your bucket list soon! Wow! That looks smashing delicious. I am travelling to Melbourne next month and I am making a note of this.Perfect timing! OHH SWOON. This looks so good. I need to get some Thai in my life asap. I think this place just made it onto my bucket list too, but I’m so happy I can still enjoy this fabulous curry in the meantime! It looks so rich, warming, and perfect for the colder weather that has begun to settle in. And if you visit Aus, definitely come here! Looking forward to reading your firsthand review of Som Tam. I hope you can get to Som Tam soon! But how nice that you got to cook up one of their delicious recipes at home! 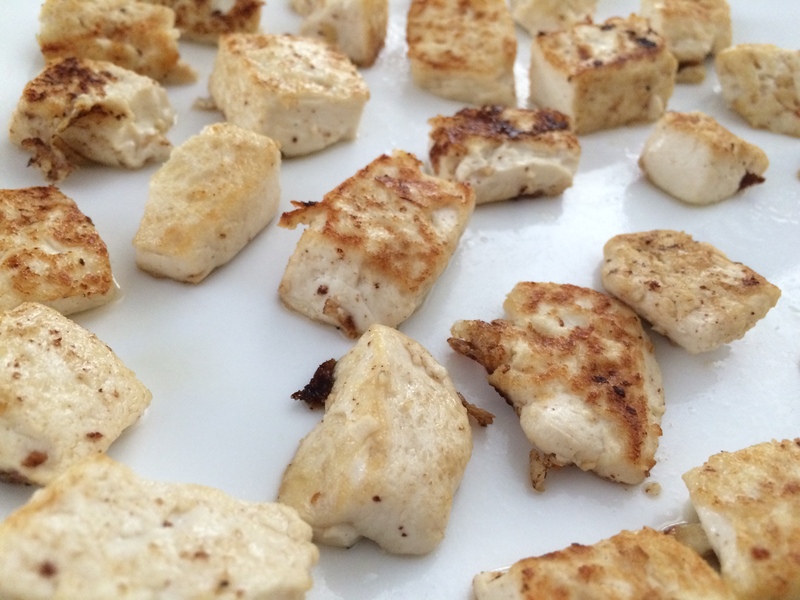 Those tofu cubes are definitely chicken LOL! But I’m pretty sure those are curry leaves that you used rather than Thai basil? And yep, I used a mix because I couldn’t find a lot of Thai basil leaves! 🙂 – Didn’t have enough left for decoration so used the curry leaves for that! I think your review assured that many people have added this restaurant to THEIR bucket lists! Looks like a must try restaurant for sure! I must try your curry recipe too. Looks fantastic! I can see why this place is on your bucket list! 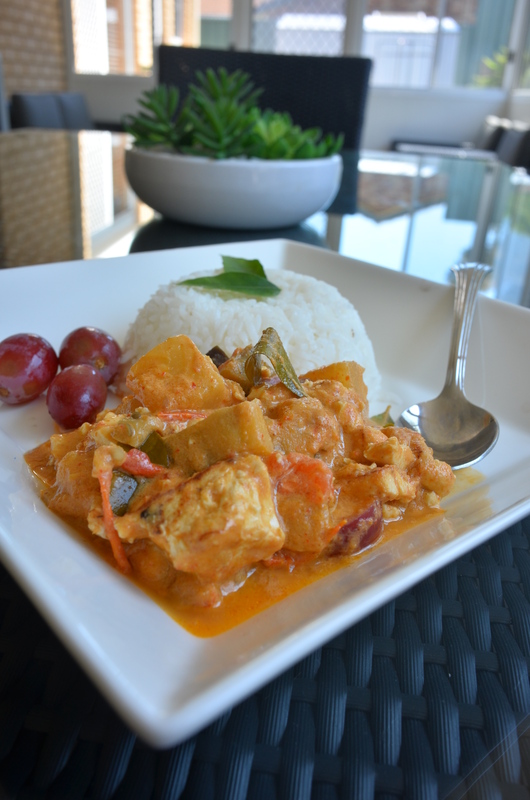 And your curry looks so good – I love tofu in a good red curry! A very delicious curry! Amazing that those soft tofu didn’t crumble after pan searing. It did a little bit but more so in the curry 😛 Definitely using a little harder one next time! And thank you! 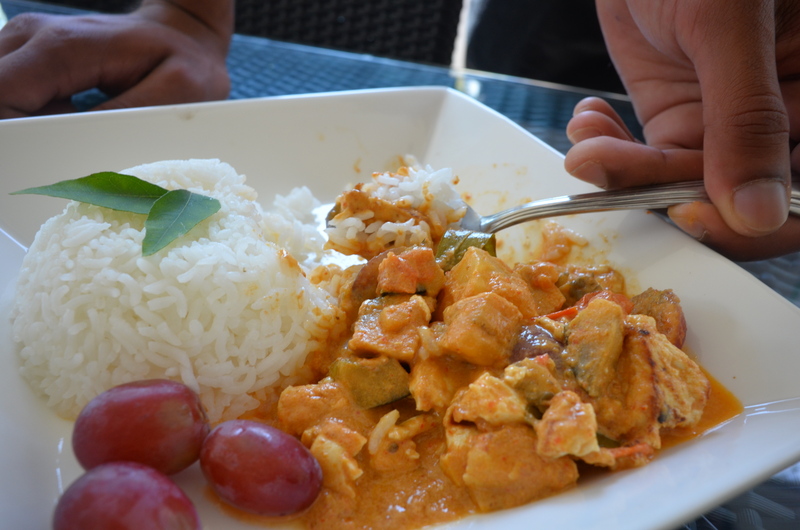 I love a good red curry! I love this tofu curry ! Great way to enjoy a curry with some good protein in it. I am the same, I have food bucket lists, travel bucket lists, single Anna bucket list, married Anna bucket list…. My lists go onnnnnn. LOL! Maybe you’ll get a personal invitation after this! I have only two bucket lists–one of things I’d like to do and a separate one of foods I want to try making, which includes Creme Brulee, Oysters Rockefeller and homemade beer. Seeing as how my daughter is engaged, the “son in law” sounds intriguing. I’m big on checking out online menus, too. I’ve often visited places simply because I liked the menu. Anyway, terrific dish — and I love spicy, so this would be perfect for me. Great rice! And fun p os t– thanks. What a lovely dish, Uru. The fried tofu does resemble chunks of chicken and the sweet grapes and pineapple should offset any spiciness from some commercial curry pastes you get. Lovely colour and creaminess as well. I don’t make nearly enough Thai recipes barring my go-to Chicken Pad Thai which I can have on the table in 30 minutes if I don’t stop to take pictures. I actually made it today after putting together a more challenging Tom Kha Talaya (Thai Seafood with Coconut Milk soup). I was debating on whether I should use a red or green canned curry paste mix for the soup but then made it from scratch. 🙂 I’ll have to check out the Son in law Eggs cause they sound intriguing. Thanks for much 😀 Wow the Tom Kha Talaya sounds so difficult to make, seafood is a hard ingredient to work with! Haha from scratch is good, I’m going to try that next time! The thai seafood soup was actually quite easy to put together. Using fresh crab (cook live crab, pick out the meat) was what took the most time. More recently, I’ve been making tasty cocktails which is a lot of fun too. PS: I only have one bucket list…recipes that I want to cook one day. It gets longer every year. I’m kind of at a standstill right now cause there are mostly desserts/cakes/tortes left on the list. I love a good Thai meal and this definitely falls into that category! Love the version with tofu too! 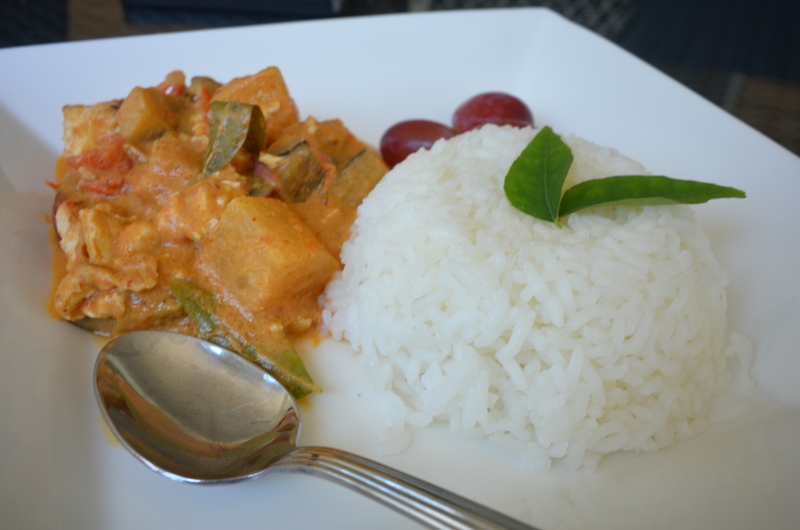 Hi Uru, love curry, tofu and eggplant, this is my kind of dish. Sounds like you have some great lists going! What a coincidence that it was on your bucket list. I hadn’t actually heard of it before but the food does look quite good. Love son-in-law eggs! Always a treat when they’re super crispy on the outside. 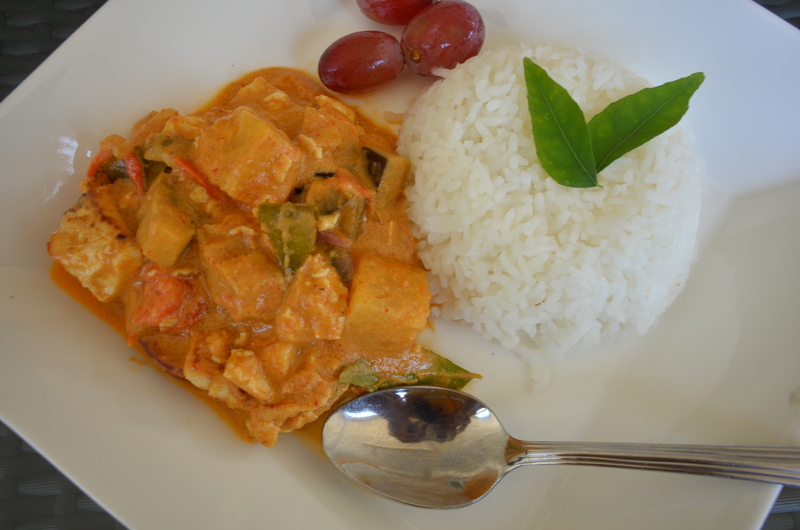 Your red curry looks a treat too. Thanks Helen 😀 haha I thought the name was enticing enough! 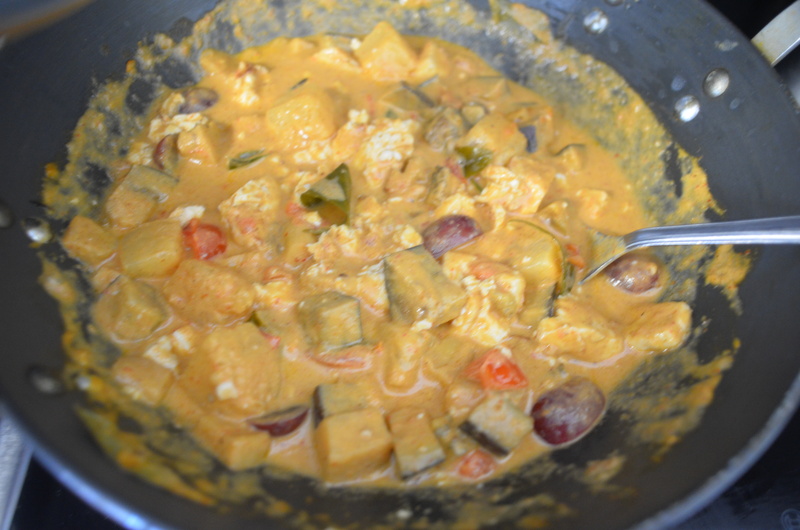 I love this tofu Thai curry, Thank you for the recipe. Gonna try for next week’s vegetarian meal. Yum al right all the way. G’day What a great post Chop Chip Uru and might now have to try making roast duck curry! Of course, we all have a bucket list and well done of the the restaurants that was on your list, you got to review!